Today's 2 samples are the last Leadership display projects that I have to share with you. 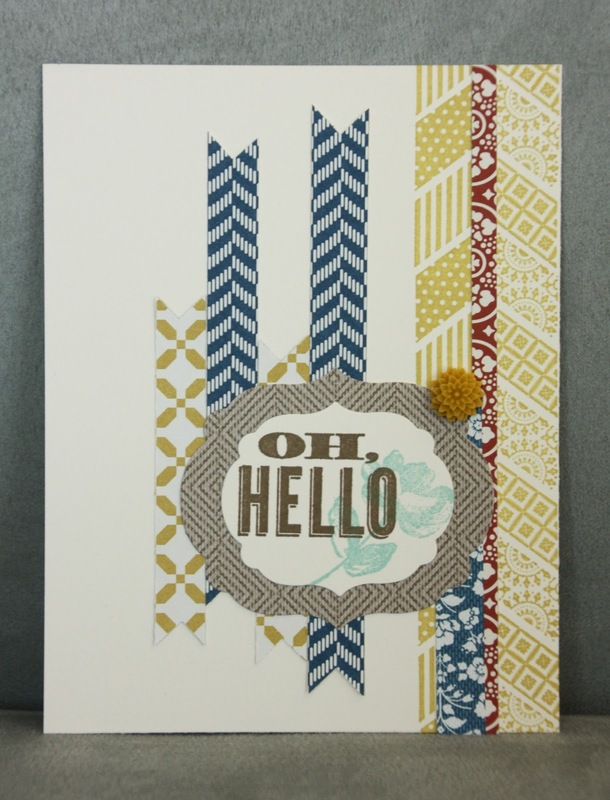 This card uses the Oh Hello stamp set and the Comfort Cafe Designer Series paper. It's a pretty simple card, but I really how all the colors and elements come together. 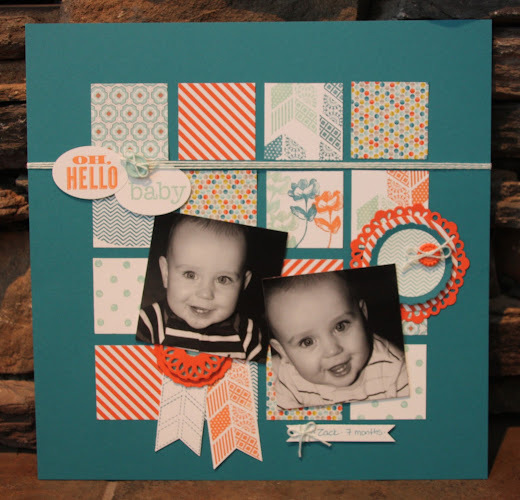 This scrapbook page uses the Oh Hello stamp set, Sycamore Street Designer Series paper, Pool Party Bakers Twine & the Sycamore Street buttons. This is one of my favorite scrapbook pages! I love the bright colors with the cute black & white pictures of Zack as a baby. 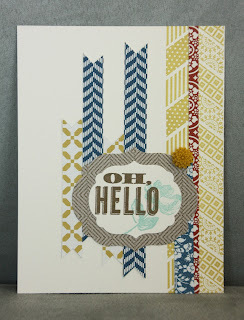 The Oh Hello stamp set has so many trendy and fun images, I really loved working with it.